Remedy For Toenail Fungus: Does Tea Tree Oil Work? You are here: Home / Foot Care Blog / Toenail Fungus Treatments / Is Tea Tree Oil A Good Remedy For Toenail Fungus? What Is Tea Tree Used For? 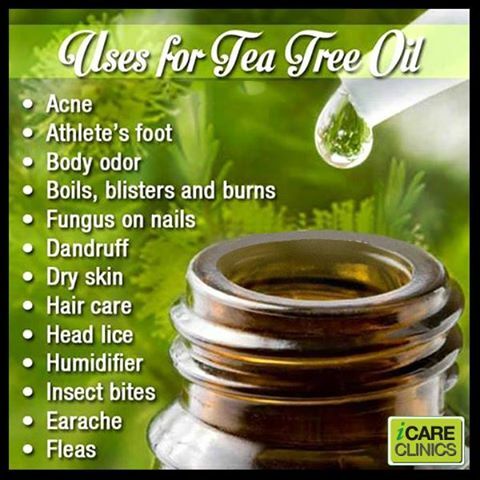 Tea tree oil has been recommended for everything from vaginal infection and acne treatment, to a home remedy for toenail infection and athlete’s foot. More recently, WebMD reports that tea tree oil was effective against MRSA staph infection that resists most traditional antibiotics, but more research needs to be done. A randomized, controlled trial published in the Journal of Family Practice examined the effectiveness of a twice-daily application of 100% tea tree oil, compared to a 1% topical application of clotrimazole antifungal medication. After six months, the tea tree oil was found to be as effective as the topical antifungal for the 177 study participants. After about three months, half of each group reported partial or full resolution of symptoms. Another randomized, controlled trial looked at the efficiency of a cream containing 5% tea tree oil and 2% butenafine hydrochloride. After four months, 80% of the 60 people using the cream reported significant improvement in their condition, with only mild inflammation side effects. According to the Natural Medicines Comprehensive Database, tea tree oil is “possibly effective” as a method to treat toenail fungus naturally. They report that topical application of 100% tea tree oil twice a day for six months “can cure fungal nail infection in about 18% of people who try it.” More than half of patients will see improvement in appearance within three months and 60% will see improvement after six months. The efficiency is similar to Lotrimin cream. However, low doses are not as effective; a 5% tea tree oil cream applied three times a day for two months has no benefit. “I tried Tea Tree oil, but the fungus started coming back,” reports one user at The People’s Pharmacy. Probably the reason the fungus returned is that the possibility of cross-contamination was not considered. It’s not enough to just treat the nail with tea tree oil. You have to be sure all your socks, toenail clippers and shoes have been adequately cleared of the fungus too. So many people treat their fungal infections on nails, but fail to consider that fungus replicates by way of tiny spores… and those spores can live a very long time. The SteriShoe UV shoe sanitizer can eradicate up to 99.9% of toenail fungus in shoes in just one 45-minute treatment. Since there is a genetic component to who is at risk for re-infection, make shoe-sanitizing a routine part of your life to minimize the possibility of dealing with onychomycosis again. Great post! I love tea tree oil, and use it in many DIY home remedies, such as hair and skin oil, as well as soap making. Thanks for sharing this! Athlete's Foot Treatment: Jewelweed Juice Are Home Diabetic Foot Ulcer Sensors The Way Of The Future?